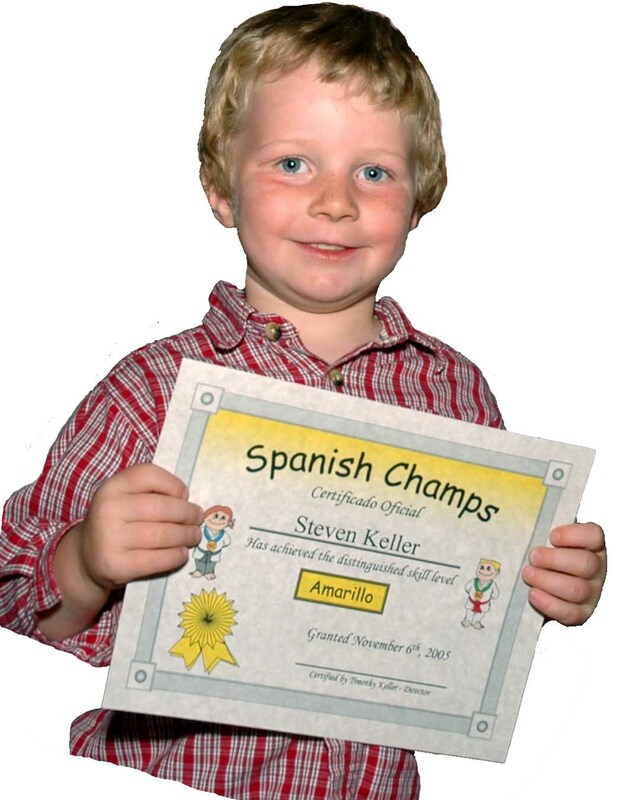 Spanish Champs is our fun and dynamic preschool Spanish and kindergarten Spanish program that engages learners through music, games, activities, video, contests, plays and crafts. Whether you need some fun kid's Spanish songs, resources for homeschool Spanish, or a complete preschool Spanish curriculum, Spanish Champs has what you need. Children will have so much fun using our "leveled immersion" programs, they won't know they are learning a new language. Want to see a comparison of what is in each kit? Not sure how to teach Spanish? Visit our "How to Teach Preschool Spanish" page to learn about four essential skills children need to develop and six teaching principles that make teaching fun and effective. "The best part about Spanish Champs is my daughter's excitement. We listen to the Spanish Champs CD nearly every day and watch the DVD regularly. The Cobb Family highly recommends the Spanish Champs program - it's been a lot of fun and we've all learned something new."